When you want a car that looks like it’s brand new, the most economical way is to give your car a new paint job. Though you can leave it to professionals, you can save a lot of money if you use a bit of elbow grease and get a bit of know-how. For those interested, here’s a brief introduction of what you should do give your car a fresh coat of paint. The first step is to get painting supplies. Though there are automotive paint spray booths for sale, these are probably overkill if you want to paint only your own car. If after you’ve done your paint job and think you’d like to make a living out of it, then go ahead. 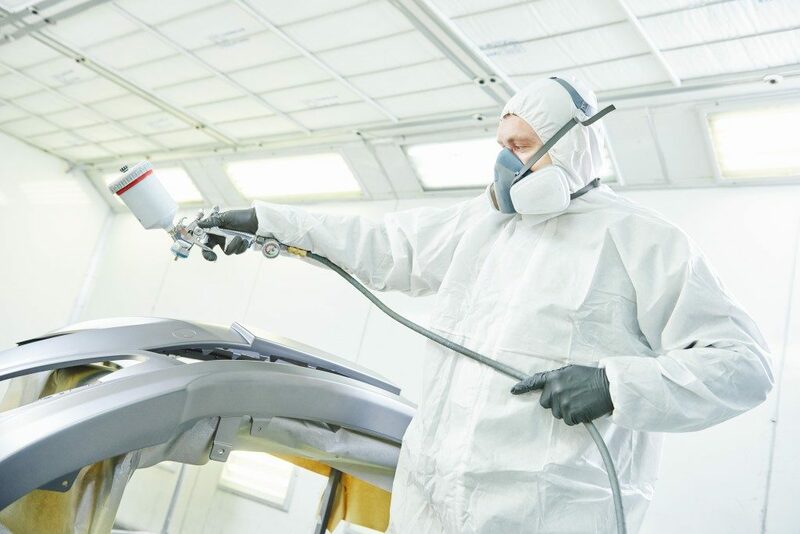 For a single car painting, a simple spray gun and compressor will do. Besides the spray gun, you’ll want the right amount of paint. Depending on the size of your car, you are going to need several gallons. This is not just the main color. You are going to need a primer and clear coat. In addition to the painting supplies, you are going to need a sander, some tape, and a lot of paper. You will also need a buffer to finish things off. If you’ve got all these collected, you are going to want to prepare a work area for your painting. A garage is a great place to do this – though you’re going to need a bit of ventilation. Clean it up so there’s no dirt and debris that will stick to any paint you will be using. If you can’t help it, you can paint outside. However, you’ll need to be sure that there’s no bad weather on the horizon or your work will be ruined. Once you’ve got your workspace ready, it’s time to do the prepping. The initial step is to get rid of all the paint on your car. That’s what the sander is for. You don’t need to sand down to the metal – all you need to do is sand away the surface paint a bit and prepare the body by sanding down to an even surface for the paint to stick to. Expect to do this for two hours per panel of your car. Sand in a circular motion to be as thorough as possible and finish everything by wiping down with a thinner to get the remaining paint and particles off. The next step is to do the priming. Practice a bit first with sheet metal so that you know how to proper coating. You want a thin even coat so that your top coat will stick properly. Two coats of primer should be enough and have your car ready for the painting. Clean out your spray gun and ready your top coat. Be sure that this is the color that you want for your car though because there’s no turning back once you start spraying. As for painting itself, just apply several coats, with each coat being dried before another coat is applied. Before the final layer, wipe things down with a thinner. Clear coat or lacquer is what protects your paint job. Just do the same as you did with priming and painting. However, just apply one or two coats this time. When done, leave it to dry then buff the car to shine. A good paint job will make a car look great and give it a new lease on life. Follow the above steps to start your car painting journey.